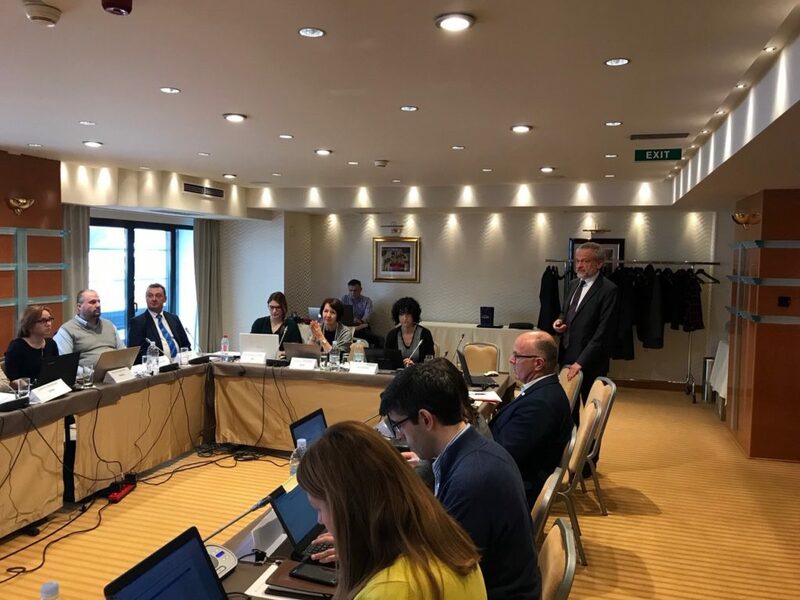 The Communications and Publications Committee (CPC), hosted by HAA, the Croatian NAB, has just met from 13 to 14 March 2019 for its 35th meeting in Zagreb (Croatia). This 2-days meeting started with two speeches by Dr. sc. Sinisa Marijan, President of the Managing Board of Končar and Filip Caušević, dipl. Ing, Head of Laboratories of TPK Zavod, both stakeholders of HAA. They presented their activities and underlined interesting potential areas of development to improve communications with CABs and interested parties. Cooperation with stakeholders and collecting their feedback on the relationship and experience with EA and its Members are crucial starting points to continuous improvements and remain one of EA’s key objectives . WAD 2019 which will be focused on “Accreditation: Adding Value to Supply Chains”. Accreditation plays an important role in reducing the costs of trade, doing business and delivering confidence in supply chains. Granted by internationally recognized accreditation bodies that signed international arrangements, accreditation facilitates the acceptance of products and services across borders. Is it relevant to target EU final consumers, creating a virtuous circle and encouraging companies to ask their suppliers to be evaluated or shall NABs should only focus on the communications with Conformity Assessment Bodies (CABs), regulators, stakeholders and consumers’ associations? An update on ILAC and IAF activities with a report by Jon Murthy, the ILAC Marketing and Communications Committee Chair, with a focus on the US Regulators’ feedback collected during the last ILAC MCC and IAF Communications and Marketing Committee meeting in Washington (11-13 February 2019) and a detailed presentation from Marcus Long (IIOC) on the IAF CertSearch Database. Thanks to this tool, time and risks are reduced for bodies when they want to validate a certificate. It is also improving the value and integrity of accredited certification by preventing misuse, increasing awareness, education, recognition and visibility of accredited certification. As a result, accredited certification is globally gaining strength and growth. The next CPC meeting will be hosted by BAS, the Bulgarian NAB and will take place on 18-19 September 2019 in Sofia.